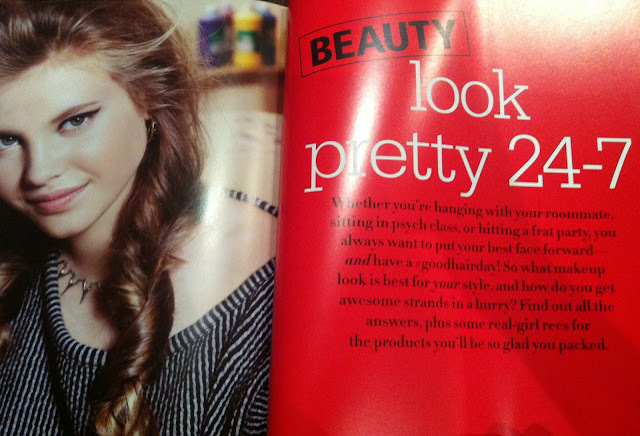 Let me first tell you that Seventeen magazine is my fave magazine because of all its great beauty tips, outfit inspiration, helpful how-to's, and interesting articles! Ann Shoket and the editors of Seventeen are amazing at their jobs and it really does show through the greatness of the magazine and the Ultimate Guide To books. 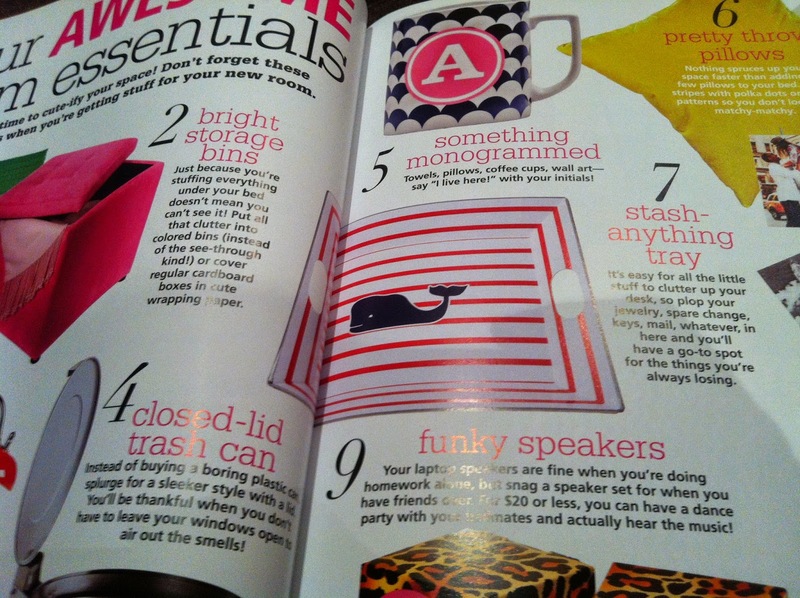 I already own the Seventeen Ultimate Guide to Style and I absolutely love it! It has given me so many ideas for new outfits, and overall I just enjoy looking at the creative layout and gorgeous pictures. I am currently a high school student who lives in Australia, therefore I do not know much about university life, let alone American college life. However, I love all things created by Seventeen, so I needed to give it a try! I wasn't really sure what to expect when I started reading this book, but now that I have finished it, I feel much more knowledgeable about the American college system and have gained many useful tips for everyday life. This book is essential for anyone heading off to college - you'll have a wealth of knowledge on your shoulders to understand and tackle any experiences (positive and negative) that college life may throw at you! This book is great as it is filled with stories and tips from real life college students, which makes the book more personable and relatable! This book contains everything you need to know to have the best years of your life in college! 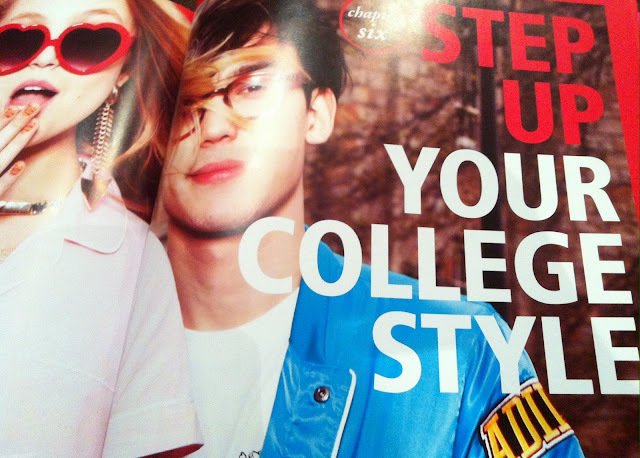 You can pick up the Seventeen Ultimate Guide to College at almost all book stores! 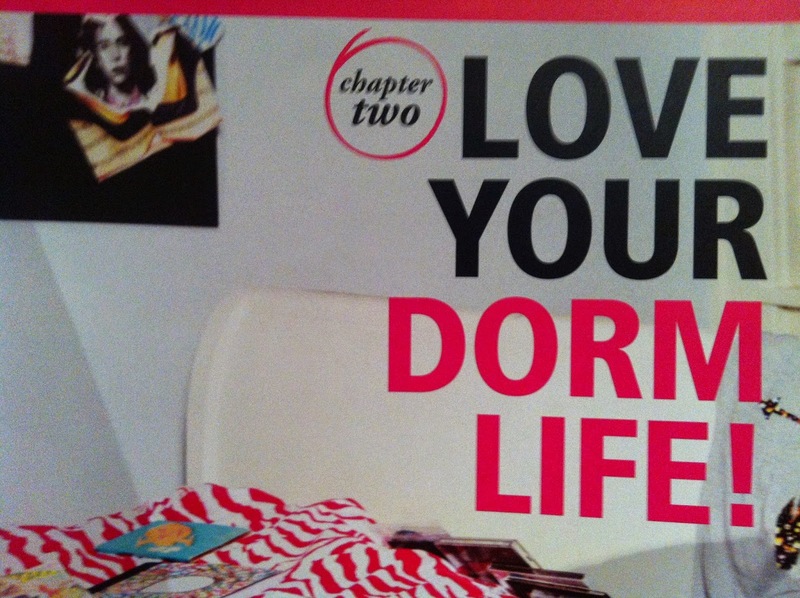 This chapter explains all you need to know about college, how to prepare for college, and what to pack. E.g. The 'Pack Like A Smartie' spread which shows 10 essential things you need to pack for college, as well as 'Crazy College Myths' which busts those rumors and misconceptions that you may have about your college experience. The title of this chapter pretty much sums up its contents! Find out how to make your roommate love you, how to bond with your new roomie, how to deal if your roommate is a kleptomaniac or bully (no one wants that ruining their college experience! ), how to decorate your dorm, and yummy snacks that you can make in your room! Find out how to master the college dating scene and understand the mindset of college guys, all in this chapter! You will learn all about the different guys you can meet on campus, how to manage a long distance relationship, the rules of college dating, as well as how to get through a breakup. The main idea of this chapter is to explain that college dating is much more laid back and carefree than high school dating. Parties are a major part of college life! They help you wind down after a long day of classes, as well as introduce you to new people on campus. One of the most important parts of the college experience is the social scene, so you really should know the ins and outs of college parties. This chapter explains all you need to know! There is a large difference between college parties and high school parties, as college parties can take place at a house, dorm, or club, and the atmosphere is much different. 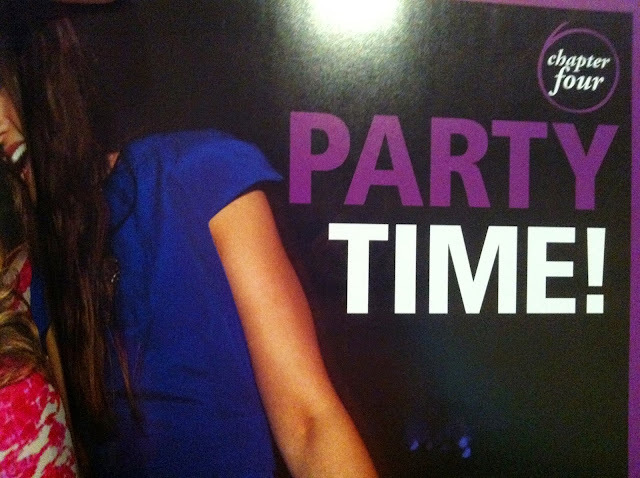 You should also know the rules of college parties and how to handle any party sitch, before heading off to college. It will definitely come in handy! This chapter also explains all you need to know about pledging/joining a sorority, and what type of housing is right for you. 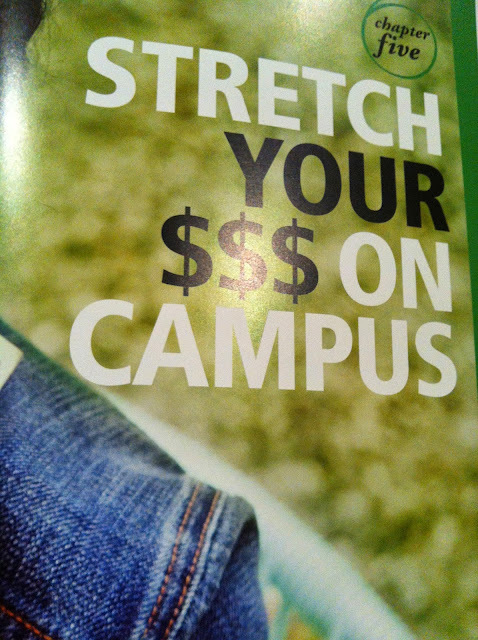 College can be quite expensive, so you definitely need to keep track of any money you spend or save. Therefore, setting up a budget is essential in order to make the most out of your $$. 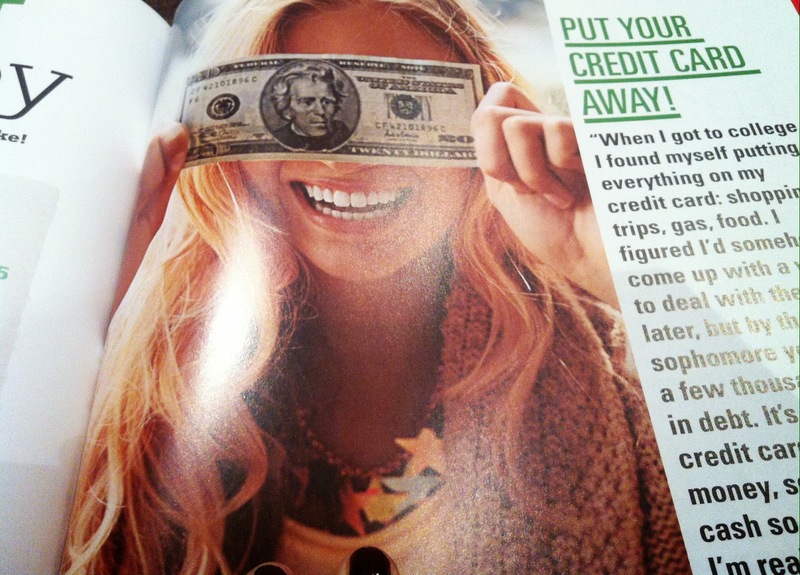 There are some great tips in this chapter about how to realistically save money over the summer before college, how not to go broke, and how to save your hard-earned $$$ while still enjoying college life! The outfits in the chapter are absolutely gorgeous! 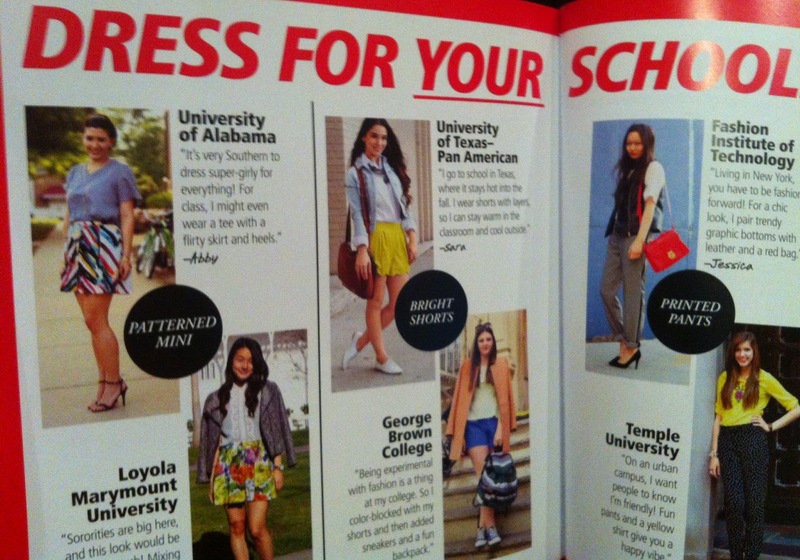 Even though I'm not heading off to university/college yet, they have given me heaps of outfit inspiration! Find out how to make a statement on campus by wearing clothes that really say something about you, the 6 rules of college fashion, how to dress for any college occasion, and how to dress for your school! This chapter also contains some really helpful beauty tips! 1. The advice from real college girls made this book more relatable and more helpful! 2. 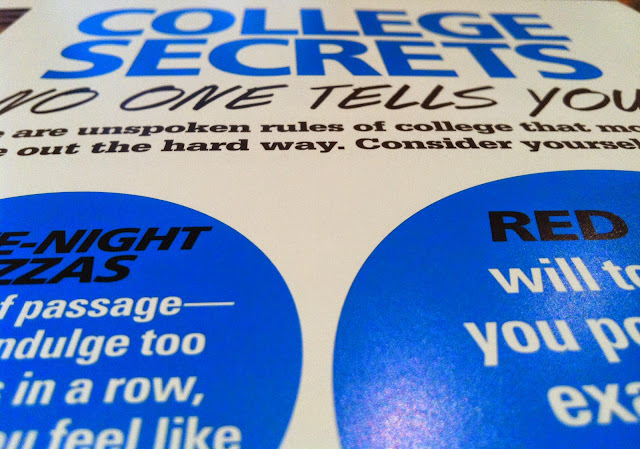 The "How To Speak College" section introduced me to the jargon of college, which really gave me an insight into college life and the mindset of students. 3. 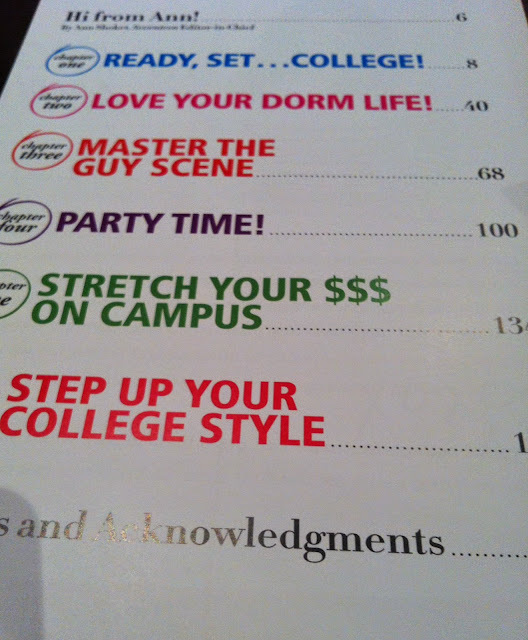 Each page contained at least 2 really helpful tips for college that could also be applied to other life situations! 4. The layout of the book and the photos made it really fun to read - it was like a super long Seventeen magazine issue. 5. I learnt so much about the American college system, which I wouldn't have known otherwise. I found it so interesting to read, and now have a lot of helpful information to call on when I start university (Australian university isn't really the same as American college, but the situations are similar)! Overall, I really enjoyed this book and would recommend it to all of you who are heading off to college. For those of you still in high school, I would still check this book out - it will prepare you for your college experience. Finally, if you are an Australian high school student like me, this book is still great - you will learn a lot about the American college system, but most importantly gain many tips and tricks to handle any tricky sitch that can arise in similar situations, like issues at high school parties and in relationships. I hope that you enjoyed this review! If you have read this book, or another Seventeen Ultimate Guide To book, let me know what you thought of it in the comments! Looks like that would be very helpful to you. 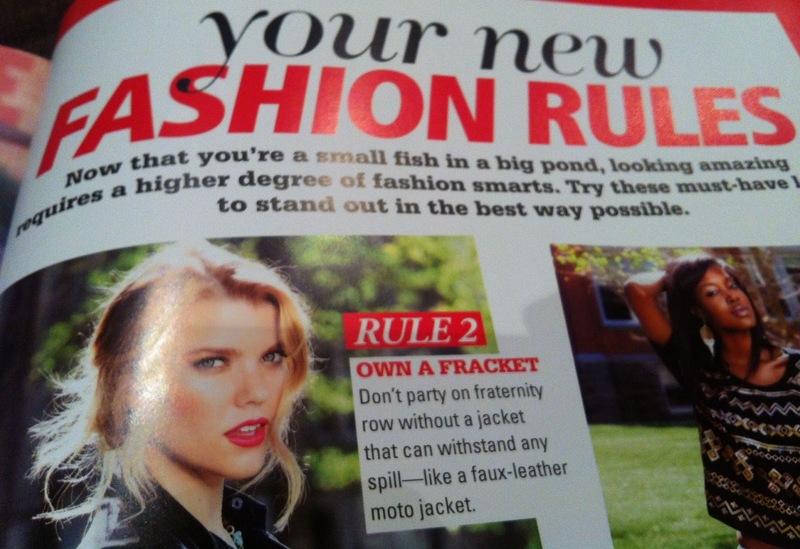 wow this is super helpful and informative for any freshmen in any college! that is awesome :) congratulations on getting this awesome project to share with us! Thank you so much for visiting my blog and leaving such a lovely comment, I’m following you on Facebook (also with my personal account), Instagram and Bloglovin, I hope you can follow me back to stay in touch. With this assignment help service’s ever-expanding portfolio, a student can expect that any of his requirements concerning his studies will be fulfilled.